With 2018 starting out with a big, CASA BANG!, there’s great need to expand programs and CASA support in Maricopa County. VOICES is thrilled to announce the growth of its team with the addition of dynamic staff members and one new Board member. Each individual brings talent, insight, and gusto for carrying out the VOICES mission of providing a voice for every child in Maricopa County’s foster care system. Meet the crew below! 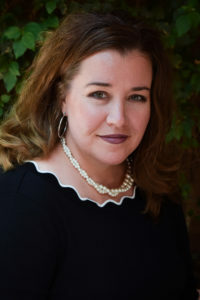 Amanda McNally Koeller oversees the accounting function for Voices for CASA Children. Amanda is passionate about educating and improving the lives of children. In her previous positions, she has worked for both the private and non-profit sectors in financial leadership roles. 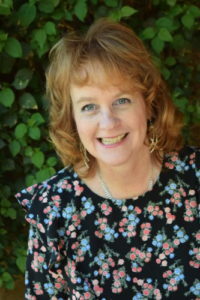 She has served as Treasurer on several non-profit Boards over the past ten years, as both a staff member and a volunteer. Amanda has a Bachelor of Science degree in Business Communications and Marketing from Eastern Michigan University, and holds a Master of Business Administration degree from the University of Phoenix. She currently serves as Secretary/Treasurer of the Aztec Wrestling Booster Club, Science Chair for the Aprende Parent Teacher Student Organization and Scholarship Chair for Help-Dream Organization. Diane Gardner joins the Voices for CASA Children team with great enthusiasm, filling the role of Child Enrichment Specialist. Diane retired from a 34-year career in technology, most recently serving as the Chief Information (Technology) Officer for the City of Mesa. Having volunteered for a variety of non-profit organizations during her career, she is delighted to be able to focus her time on VOICES’ critical mission in support of Arizona’s children. Her family holds a healthy non-profit track record and sense of altruism as well: Diane’s husband of 35 years and her oldest daughter each serve in non-profit organizations, and her youngest daughter currently practices veterinary medicine in the Valley. Diane loves planning traveling adventures for the family and holds the title of Chief Party Planner (CPP)! Outside of coordinating child enrichment opportunities with the community and CASA volunteers, Diane spends time with her four-year-old granddaughter and creatively “attempts” in all things crafting. Originally raised in Wyoming, Diane and her family happily call Arizona home. Dylan Marks joins the Voices for CASA Children staff as a Family Finding Specialist. 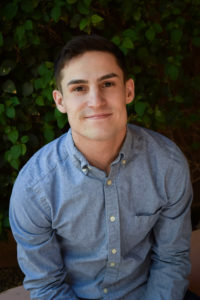 In his role, Dylan works in collaboration with multiple agencies to identify, locate, and engage with dependent children’s existing relatives and other supportive adults with the goal of creating new life-long connections and establishing permanency for those children. Dylan has experience working with law firms specializing in family law, and licensing agencies in the foster care system. He an active member of various grassroots organizations in his community and has a passion for advocacy and volunteerism. In his free time, Dylan enjoys reading, playing music and brewing coffee. He’s somewhat of a connoisseur of coffee. George Turner joined the VOICES board in 2018 after learning about the organization and meeting Board members at Statewide CASA Support Council meetings. 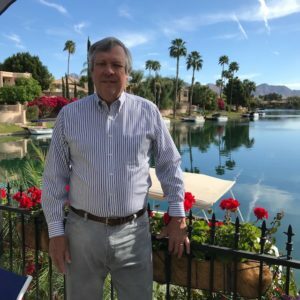 He currently also serves as Governing Board President for Navajo County Friends of CASA and divides his time between his Pinetop and Scottsdale homes. George and his family retired to the Pinetop area after a 33-year career with Motorola Inc., which included assignments in the Phoenix area, Chicago, and Seoul, South Korea. He has always been interested in the education and welfare of children, and served on the Board for Blue Ridge Unified School District for ten years, including seven years as its President. George and his wife, Liz, have two grown daughters both living and working in the Phoenix area. George enjoys most sports, is a semi-serious golfer, an avid reader, loves cars and motorcycles, and enjoys traveling. Rosie Ronnow brings great energy to the Voices for CASA Children team as its Training and Program Coordinator. Rosie has a background in community development, health education and volunteer management, and received her Master’s in Public Health in 2015 in Australia. 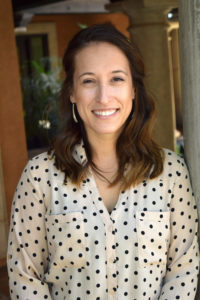 She is passionate about creating healthy communities where children can thrive, and supporting the many amazing volunteers who work with children in Maricopa County’s foster care system. Rosie is an Arizona native, yet spent four of the last six years expanding her horizons abroad, having lived in Denmark and Australia. She enjoys traveling and hiking, and spending time with her husband, David, and new baby girl, Sienna. Rosie is also the proud mother to one “fur baby”, Gunner.